In the early twenty-first century, China occupies a place on center stage in the international art world. But what does it mean to be a Chinese artist in the modern age? This first comprehensive study of modern Chinese art history traces its evolution chronologically and thematically from the Age of Imperialism to the present day. Julia Andrews and Kuiyi Shen pay particular attention to the dynamic tension between modernity and tradition, as well as the interplay of global cosmopolitanism and cultural nationalism. This lively, accessible, and beautifully illustrated text will serve and enlighten scholars, students, collectors, and anyone with an interest in Asian art and artists. 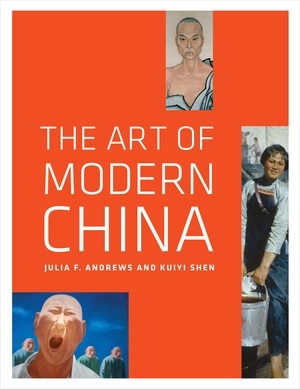 Julia Andrews is Professor of Art History at Ohio State University and is the author of several books, including Painters and Polictics in the Peoples’ Republic of China, 1949–1979. Kuiyi Shen is Professor in the Visual Arts Department and Director of the Chinese Studies Program at UC San Diego. "An important contribution to the study of modern Chinese art. . . . It should be essential reading for any student embarking on the study [thereof]." 13 The New Millennium, and the Chinese Century?